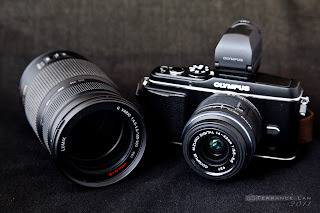 Less than a month ago I was discussing about making a switch over to the recently announced Olympus Pen E-P3. Just under a week ago the first units shipped and I got my hands on one of the first early arrivals. 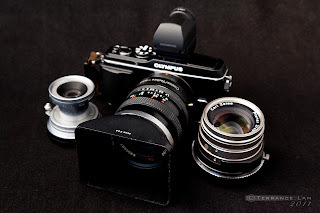 The transition over to this system is to replace one of my least used combinations which is a fantastic camera and lens, but just under-utilized. However the other reason for considering this, as had previously written is to get a much smaller compact system. In this review I'm going to focus on what attributes are pleasant surprises coming from a bigger system camera owner. With just under a week with this unit, there was some major learning hurdles that I needed to get by, but one of the immediate things I noticed was just how customizable this system was. Some of it was buried deep within the system which from a brand new user point of view is actually a smart move. Advanced users will appreciate the fact that there is so much customizability, while new users will appreciate a nice simple transition from a simple point and shoot camera to a more advanced system camera with similar simple features out of the box. As I got more familiar with the controls, I found that there were many things that were very dSLR like. Coming from both very customizable systems like the Canon EOS 5Dmk2 and the 7D, this camera had almost all the same levels of features. In someways more. Other features that I was surprised to see, echoed the features of my Nikon D700 which for those who subscribe to the major brand wars of which system has more features over the other, has a refreshing blend of both. Olympus really did their homework, and I must say it has really matured in this generation. One of the more refreshing settings to see is something they adopted from their big brother E series camera cousins in the form of the Super Control Panel (SCP). 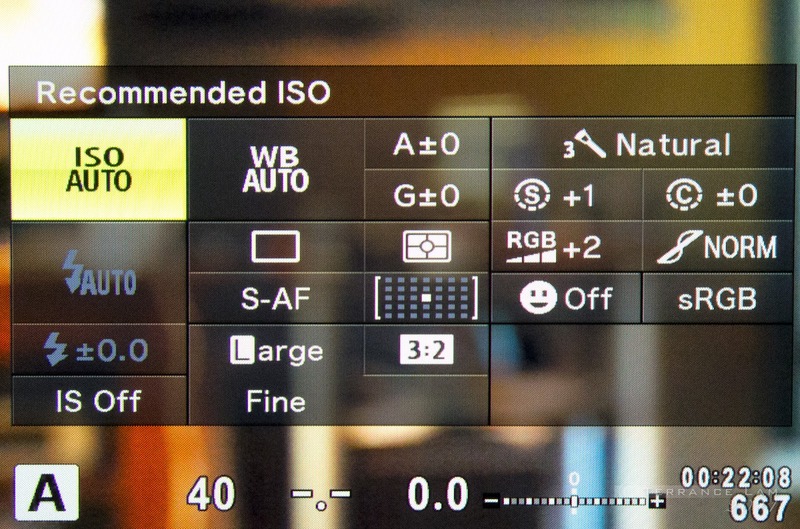 dSLR users will be very refreshed to see this and gives almost all control of major functions at a glance. Although one oversight I believe is the lack of better custom profile control (known as myset) but seems to be a nice little space where that could be added. The custom profiles is not perfect, but does come with 4 saveable settings which is very nice especially if you're trying to configure this for your own needs. 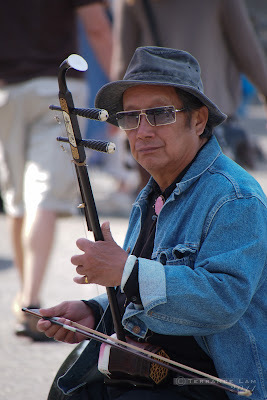 A surprising mode which I generally find useless on other cameras is the scene modes. 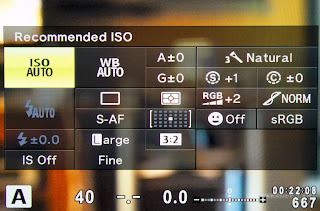 On most point and shoots and on some dSLR systems, this feature usually functions to give the easiest set of presets for different situation, but also on most system are pretty dumbed down and don't offer a lot of control. On the E-P3 this is considerably different in that you have total control of the functions once you turn on the custom functions. You can use the SCP and flip between modes to see what scene you're using or to the SCP controls to change options including RAW file output. Maximum X-Sync 1/180 sec (I actually tested it to be at way higher of 1/320 second with my Elinchrom Quadra Rangers - Non of my dSLR's get higher than 1/250 of a second with this strobe. Classic lenses for that Retro look on modern digital. 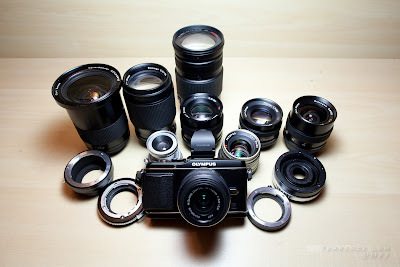 One of the comparisons I want to make is using manual lenses with this system. I was never a rangefinder user in my 20+ years as a photographer and never really understood the appeal, but as of late, my shoulders are certainly feeling the pain of carrying around the big bags and systems I do carry. I've been making an effort to reduce the weight, but I just found in order to get the quality of lenses that I want, it seems that I can't help but get bigger and heavier lenses. With exception to some classic film lenses, it seems that camera makers make these lenses to be carried by some incredible sherpa. On my 5Dmk2, I've been using classic manual focus lenses. Using a variety of adapters this has made it a joy to get different personalities or forgotten lenses from the past onto modern cameras. I chose the Canon system specifically for it's versatility in adaptable lenses. My friends have been extolling the virtues of the micro 4:3 systems for a while, but I didn't buy into it. I was convinced that I could not get the shallow depth of field control and look that I love out of my 5Dmk2. So why the change of heart? First I'll start of by saying that the E-P3 is no replacement for my 5Dmk2 by any stretch of the imagination, but several factors come to play here set aside the idea that I can carry twice as many lenses as I could with the 5Dmk2. classic Contax Carl Zeiss 50mm F/1.7. The biggest advantages I've found has actually been in the metering and focusing. On the 5Dmk2, you have to rely on stop down metering to get it right (unless you use LiveView which isn't very comfortable to do with a camera this heavy - regardless isn't all that accurate). On the E-P3, the ESP metering is very smart to account for manual aperture controls. The screen does it's best to compensate, but regardless of the darkness of the aperture, the images still come out almost perfect every time. It's hard to really give an impression of how important this is until you've shot a lot of manual lenses on a dSLR. Focusing is also a nice treat on this system. Even on the LED screen focusing is pretty easy to do. Much easier to do than the 5Dmk2, but also with the quick zoom modes, you can quickly check focus. What makes this all the better is using the very high resolution VF-2 viewfinder. I've been using both split prism focus screens and AF confirm chipped adapters, but nothing seems to really nail it like this combination. I almost feel like I'm using a medium format camera by being able to see the depth of field and my focus all come together on the viewfinder. 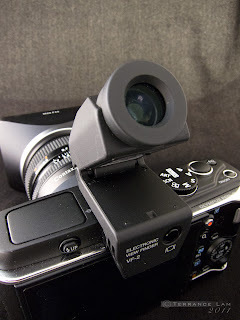 I was pretty certain that nothing could replace an optical viewfinder, but the VF-2 sports some awesome features that makes a person rethink that. 1,440,000 pixel display, 60 fps, diopter adjustment and 90° flip up makes this an awesome accessory. Personally I found it was finally the first electronic viewfinder that I felt was close enough to replacing an optical viewfinder. So finishing off this review, those that read my previous entry knew that I was going to replace my Canon EOS 7D with it. I can confidently say that this was a great move on my part. Although it does not completely replace it, it certainly fits much differently in my set-up. I specifically replaced the 7D with the Canon EF 100-400L combination, and some people might wonder if I've lost my mind. First off, I don't recommend this to everyone. The 7D and the 100-400L combination is still a superb and superior combination, however in my case was whether or not it fit my style of shooting and my other concerns. Both systems have their pluses and minuses and with the improvements on the AF system in the Pen, it's blurred the line further. For a bird hobbiest I might give a cautionary thumbs up for choosing this, but without a focus limiter and 3D tracking, it's still not quite perfect. Image quality wise though, is almost identical. 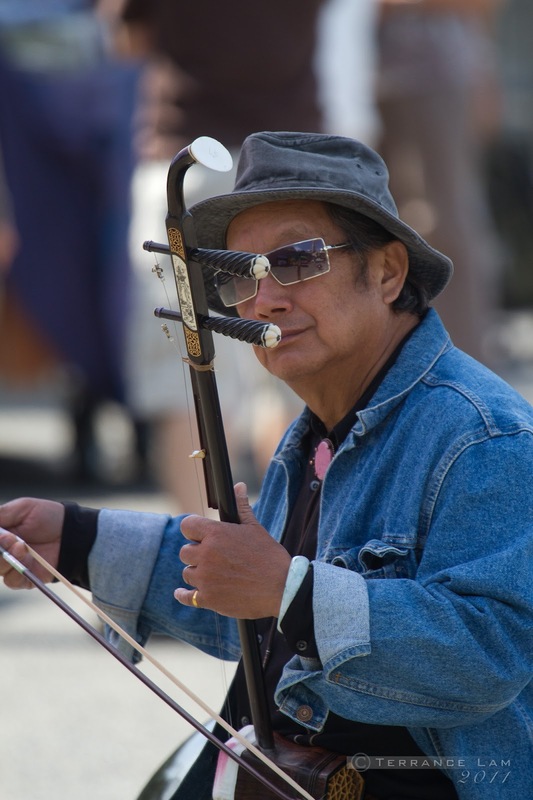 I'd argue that the Panasonic 100-300 has more contrast, but the 7D obviously makes up in resolution. Will I miss this combination, sometimes I might, but for most applications, I'm plenty happy with the Pen. Both are very comparable to each other, so it comes down to functionality. As manual focus shooter, I actually found one of the best combinations is the Canon 100L macro lens with the Pen. It makes it a 200mm F/2.8 equivalent and it focuses very fast and it's so easy to see the focus in the viewfinder. I haven't tried manual lenses with bird photography, but I had no problem shooting some action stuff like these guys doing medieval combat and this was all done using the rear LED screen and not with the electronic viewfinder. I do wish and suggest that Olympus do a few things to make the experiences with telephoto lenses better on the micro four thirds system and that's to put in an in body focus limiter. Since most lenses made for the Micro 4:3 system are focus by wire, I can't imagine it being hard to add a simple feature of limiting focus to preset distances. By doing this, action photography would be that much easier to do and with the zippy AF system, hunting would be reduced to a smaller rack rather than the full range. I'd also suggest that they give a setting to give up a little later on acquiring focus lock. By making this an option, the user can control how soon it would give up (a feature that is found on my dSLRs). 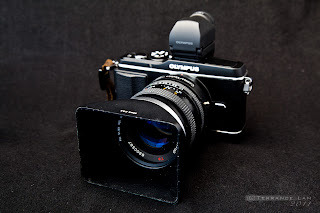 The Olympus Pen E-P3 is certainly getting closer to being a great telephoto camera. I think with a few more tweaks which I think can all be done in software, it will make all the difference in the world. The main thing for me is that I'm so pleased not to carry around such a heavy rig when I go hiking. The 5Dmk2 companioned with the E-P3 is really just perfect for me. But I would argue that this is also a great advanced option for those looking to upgrade to a system camera. Load up the bag, we're ready to go! The great rangefinder lenses and classic film lenses out there are so inexpensive compared to the more expensive plastic AF modern lenses, which really makes this whole exercise that much worth it. Even in my case you don't have to change systems. 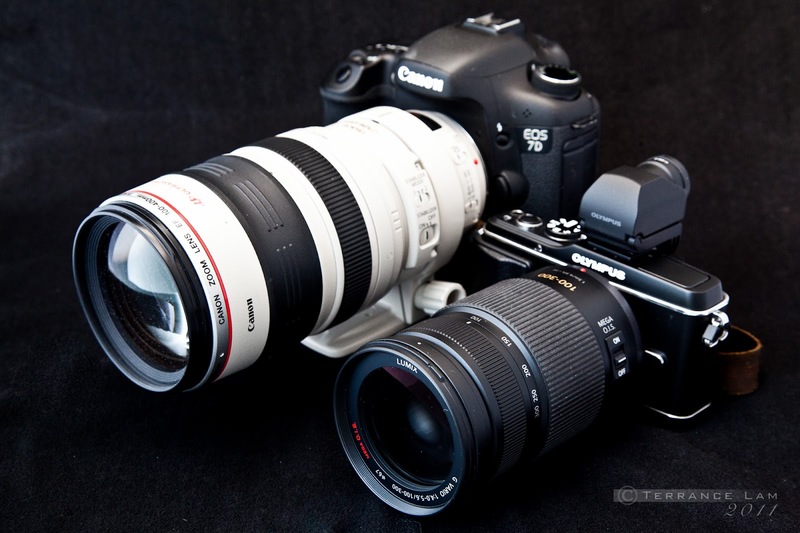 Two lenses (and soon a third) will be exclusive to the Pen, but all for far less than the whole kit in the 7D and the 100-400L combination. 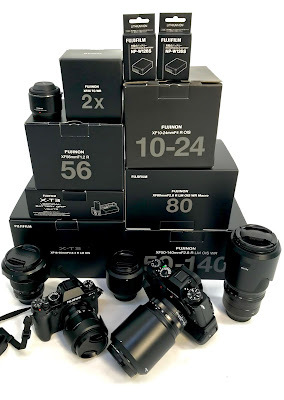 In conclusion whether you're a casual shooter, professional, or amateur, this system is definitely mature enough to consider as an alternative to buying a full sized dSLR system. Save your shoulders and definitely give this consideration. I am certain that you won't be disappointed. Kudos to Olympus for doing this right. This 5th version of the Pen has really matured and is really well done. I guess the next step will be to put in a new sensor, but in the meantime, this is more than enough of a system with results that I feel meet my professional standards. Addendum: Turns out the sensor appears to be a new sensor (sorta). The new LiveMOS sensor bumps up not only high ISO improvements, but the frame readout speeds increased from 60 fps to 120 fps. This certainly explains why the AF is as fast as it is. But there are reports from DxO that seem to suggest that it's a tweaked version. Regardless, it is improved over it's predecessors and if that meant tweaking the current designs, Olympus certainly did a good job of it. One other thing that I should mention and if there are those at Olympus listening, turf your software. It's awful, buggy, and stupid slow for doing anything but JPG work. It's the worst RAW processor I've recently used. Kludgy and unintuitive interface is some of the key things very wrong with it. I sadly would say that Canon's own DPP software which I think is pretty weak is ten times the program this is. Hopefully Adobe Lightroom will have an updated Adobe Camera RAW for this soon. Welcome to the fabulous world of micro 4/3.